Namkeen mixer machines knows as namkeen mixer, farshan mixer, farshan mixing machines, is suitable for mix all types of sev, nuts, dals, rice flacks, corn flacks, maize flacks, dry fruits etc. We are leading manufacturer and exporter of namkeen mixer machines that are designed to perfection and are fabricated using best grades of raw material. 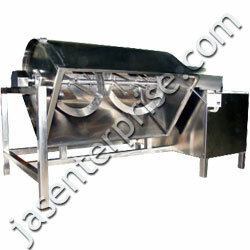 These machines can prepare different kind of namkeen mixtures with desired ingredients in a hygienic manner. We offer precisely designed namkeen mixer for easy mixing of different ingredients of namkeen and spices in a uniform manner. 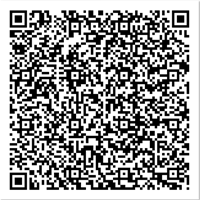 All contact parts are made of stainless steel 304. 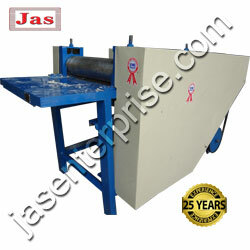 The jas namkeen mixer machines are a batch mixer with paddles and blades fixed at a pre-determined angle on rotating stainless steel shaft. This rotating shaft is rotate on its axis of "U" shaped tilt-able drum. Thus feeded matirial like gathiya or gathia like bhavnagari gathiya, jamnagari gathiya, methi gathiya, makhaniya gathiya, tum tum, sev bhujia like aloo sev, garlic sev (lasun sev), palak sev (spinach sev), tomato sev, bikaneri bujia, ratlami sev, nylon sev,papadi or papdi, nuts, dals, dry fruits etc... The material is lifted by the paddles gravitates downward in the "U" shaped tilt able vessel by means of gyratory stirring along the vessel wall. Materials are mixed to the highest level of accuracy. 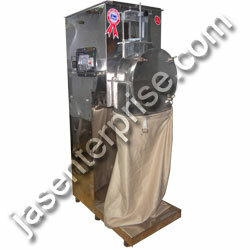 Scientific Design: Jas’s Namkeen mixer machines are all designed to be low maintenance. Low brokons : The mass flow discharge function at very slow speed caters for minimum brokens and powders. 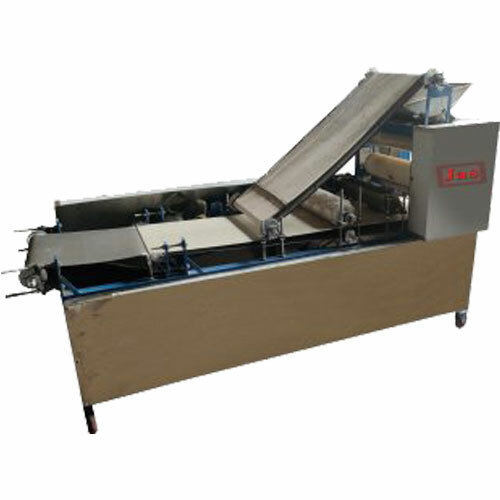 Gentle mixing course: The mixing process uses a minimum of power consumption, free of heat generation, with no damage to the product structure. Easy to clean: Namkeen mixer machines are designed to be easy to clean via either wet or dry methods through extra large doors on the vessel, using spraying devices, if appropriate. 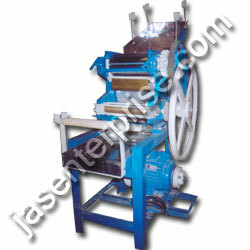 Production capacity per batch 50 kg. 100 kg.